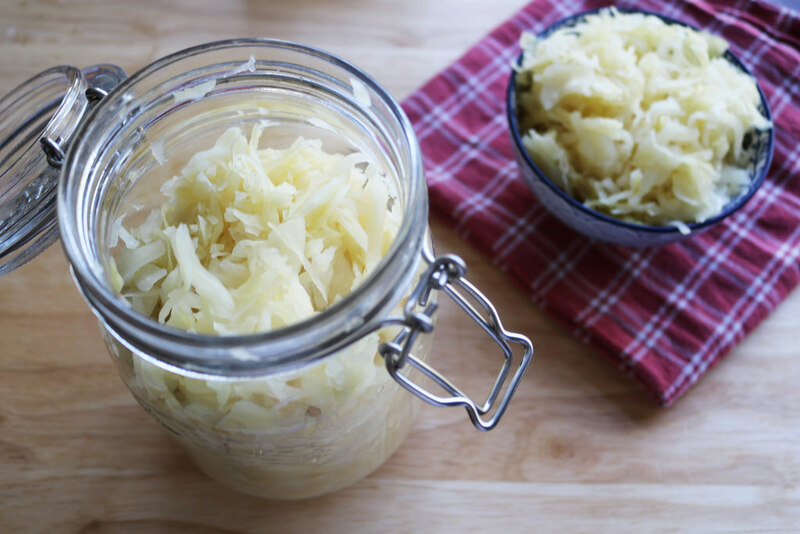 Most of us have probably heard that sauerkraut, or fermented cabbage, is incredibly healthy, but how many know what makes it so beneficial to our health? Well, in order to produce it, we need to use the ancient method of preserving food called fermentation. 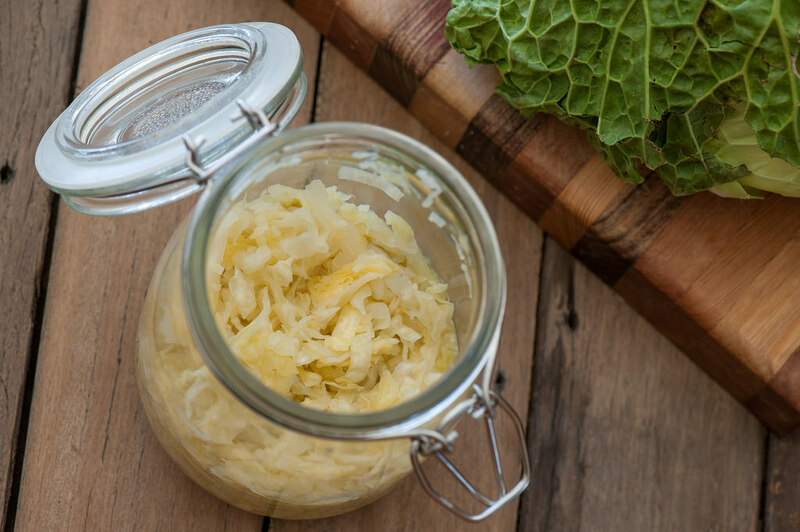 During this process, ‘live bacteria’ or beneficial probiotics are produced which actually give this fermented food most of its health benefits which are far superior to those of regular cabbage. In fact, Doctor Mercola discovered that 4-6 ounce serving of sauerkraut or other fermented vegetable contains about 100 times the amount of bacteria found in a bottle of probiotics. In other words, 16 ounces of sauerkraut contains the probiotics or live bacteria found in 8 bottles of high-potency probiotics. These live bacteria or probiotics make the food we eat more digestible, thus improving our gut’s ability to absorb the nutrients they contain. Sauerkraut is exceptionally nutritious, containing many essential nutrients like vitamin C, vitamin B6, vitamin K, folate, iron, manganese, potassium, copper, protein, and copper. But, have in mind that it can contain plenty of salt, unlike cabbage. The producers of sauerkraut use lacto-fermentation to pickle cabbage so that it can become a rich source of enzymes that help the absorption of nutrients and improve digestion. However, this sauerkraut may be treated with different chemicals during the pasteurization process. That’s why it’s always better to make your own sauerkraut at home. So, here’s how to make it in order to reap its health benefits. Shred the cabbage after removing the outer leaves. Add the salt and massage the cabbage for 15 minutes so that it can release its juices. Put the mixture in a large fermentation container, and pound it down to allow the juice to emerge to the surface. Then, cover it with a plate and put a heavy jar filled with water on top of it so that it presses the cabbage, forcing the water out of it. Cover the container with a towel and make sure you keep it in a cool, dry room at room temperature. Let the cabbage ferment for a month before storing it in the fridge and enjoying its incredible health benefits whenever you like. Note – if you prefer sweeter sauerkraut, use larger head of cabbage. 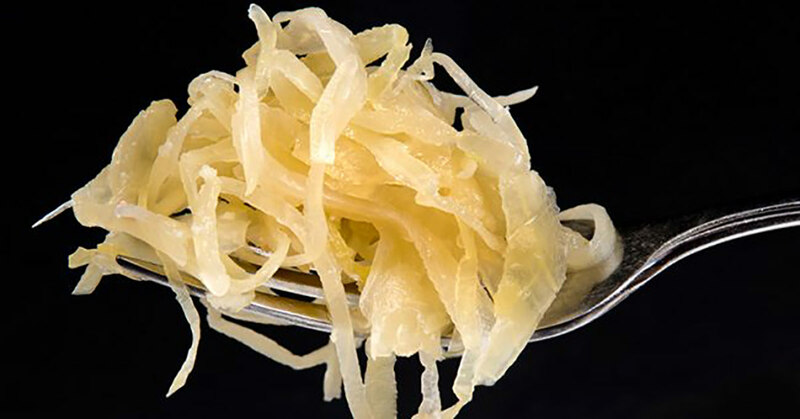 Eating your nutrient- and probiotic-rich sauerkraut every day will boost your health in many different ways. It will improve your immune system and digestion, at the same time reducing your risk of many diseases and helping you reach your weight goal. All you need to make your sauerkraut at home is cabbage and salt. Just don’t forget that sauerkraut is high in sodium, especially if you are watching your salt intake.